Analog Player, Virtual subtractive synth from Arturia. The Arturia Analog Player is a virtual synth that is very light on your cpu. You will also have zero issues trying to install and use it with whatever software it is that you use. Most of the sounds are pretty good to be analog, but im just not a big fan of analog synths any more. Another thing about the Arturia Analog Player is that it just doesn’t give you enough options to edit the sounds. I think they need to add some more parameters and give the user full control over how the sounds will come out. If they fix that and add those parameters to take it to the next level I would really enjoy using the Arturia Analog Player. It just seems like more of a beginners analog synth with not too much going on. Very easy to get setup and start using, you will become bored with it after a few days to a week because there arent that many sounds, and the sounds that it has just cant be transformed like they can on some of the more popular synths that are virtual. When you are coming from synths like Nexus to this analog synth. Yes I know that its analog and you cant really compare it to a program like nexus, but my issue is there isn’t enough stuff to let your creativity come out. The Arturia analog Player is a decent plug in, I probably wont ever use it again though. I used it strong for about 5 or 6 days, and havent thought about it or touched it since. Im not even sure if I still have it in my computer. So unless you’re a beginner or you really love analog synths and love having them on your computer then the Arturia Analog Player just wont do much for you. troust's review (This content has been automatically translated from French)" A "mouth" of the Arturia products"
Wanting to know this, so I decided to make the acquisition in early July 2013, contenting myself only without soft keyboard controller. The installation was carried out without difficulty. It is facing a small window. What makes the bad viewing. This window is in the form of a database, where it will select its instruments and sounds. We can hide part of the image window from the 25-key keyboard + soft pack. In my opinion, this is a "mouth" that can Arturia. Ranked by style: Bass, Brass, FM, Lead, Piano, Pad, Percussive, String and Fx and also a lot of sequences. The manual is not very useful for this type of app. As stated above, just select the sound you want and we play. 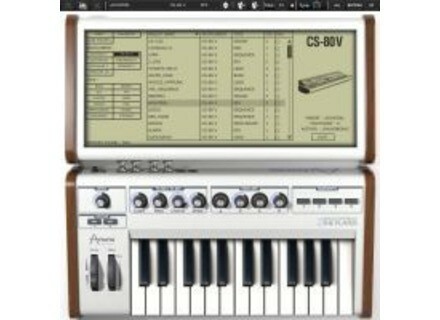 All sounds embedded on this application are from the banks of sounds offered by the Arturia VSTi. 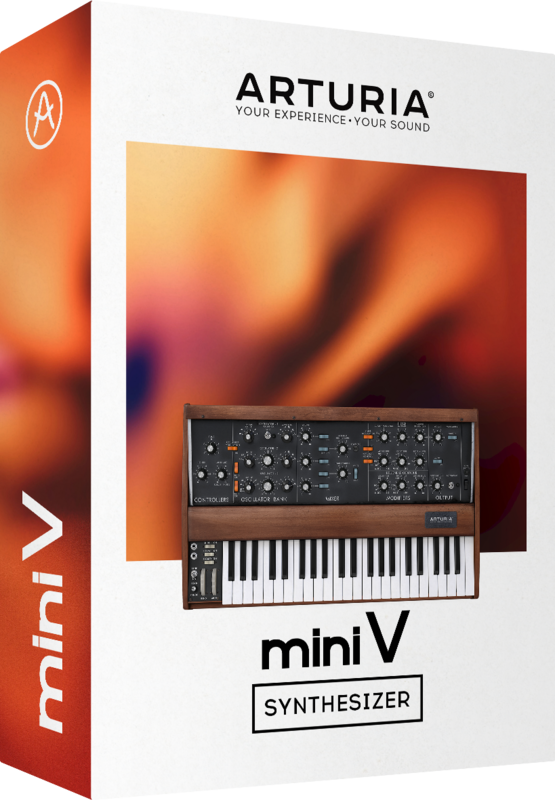 Simulating the most legendary analog era vintage synths, this is a good alternative for those who do not want to "tweak sounds" and merely a simple sound palette. The software requires little resource. My config: PC with WinXP, Intel dual core 2.2 Ghz, 1GB RAM and 500GB HDD. Use as a small expander VSTi, there is no tweaking sounds, some parameters are available as changing the ADSR, cutoff and resonance. Two effects: chorus and delay, or 8 adjustable potentiometers and not editable. You can not save the settings, stopping the application, there are 1000 such that the original sounds. We can still check the favorite sounds as favorites and have on hand Dee future use. 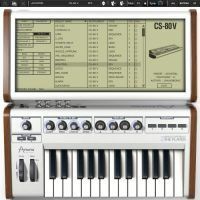 This app is written to work with the master key which is dedicated in the range of keyboards provided by Arturia: the controller 25 Analog Experience keys. My keyboard an EMU Xboard 49 is not 100% effective because the 8 knobs of soft aléatiorement are recognized by those of Xboard. only pitch bend and modulation wheels are usable and the keyboard that goes without saying. Maybe one assignment number midday control "knob" could do the trick. This seems difficult because the app is not "MIDI learn". 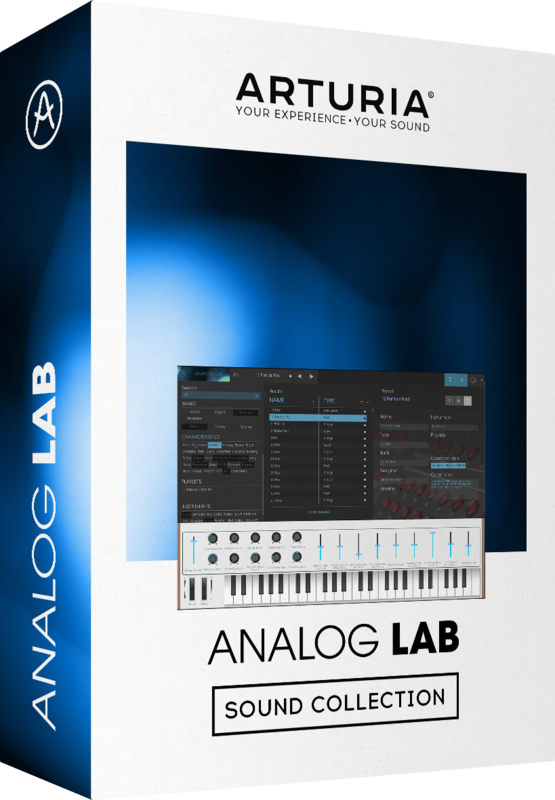 I do not have that choice, not because the app does not like me, quite the contrary, but I think it would drive users to seek more acquisitions as the "Analog Lab" or "Analog Factory", without wanting acquire every synth simulation in their most complete form. Baffy's review (This content has been automatically translated from French)" Mixed feelings"
The installation went smoothly not need any manual is really intuitive. Each preset is rated 1 to 5, with 5 being the presets of the most intensive use of CPU and it will drip pan, some presets rated 5 provide a slowdown of the software for 5 to 10 seconds. The sound quality is good but gereral even a novice like me would have liked to go further than 2 or 3 filters and ADSR therefore a very narrow margin of maneuver. I use it for 2 months, I have discovered some of the world arturia, I love the intuitiveness of the software and ease of use but if I were to give advice, I would rather invest on the Native Instruments Absynth much much more complete. Arturia has announced that Analog Player is now available for sale in their online store for $99 / €99.